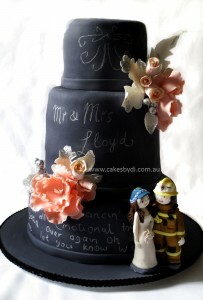 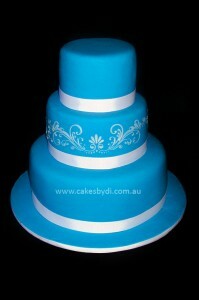 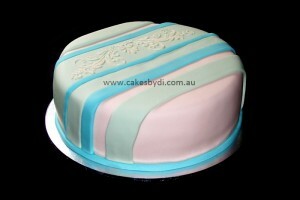 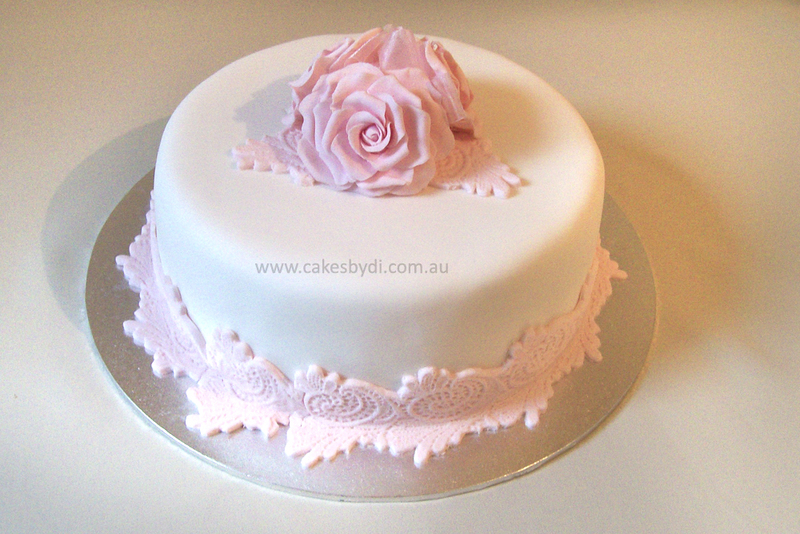 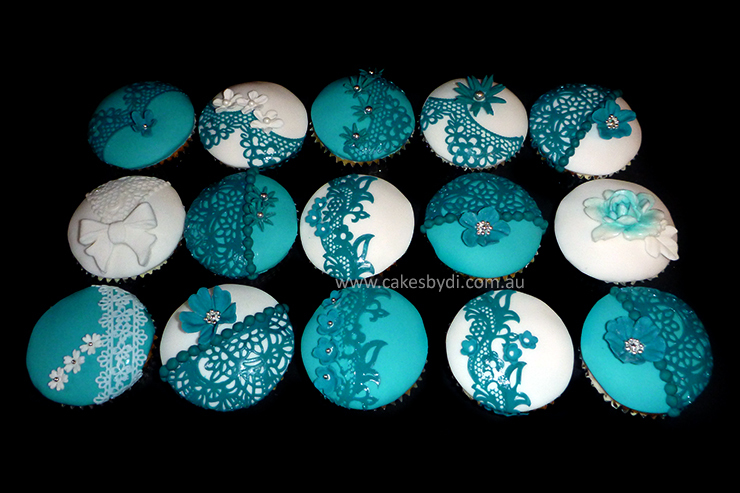 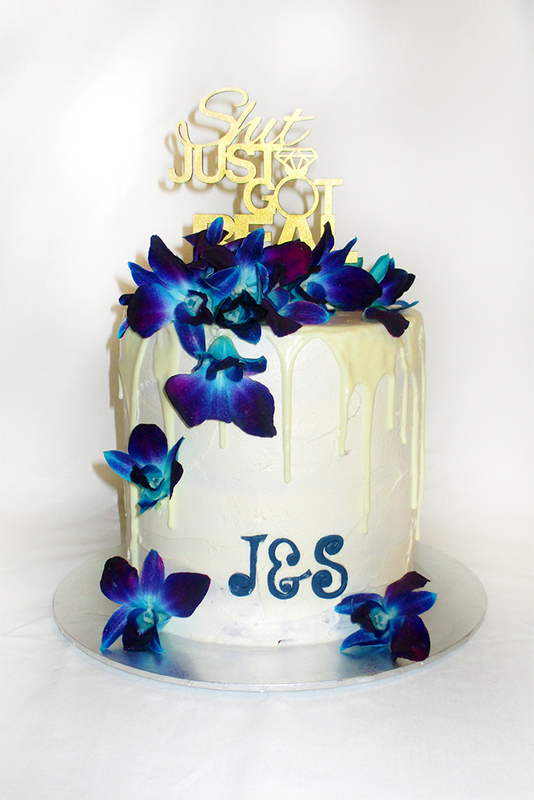 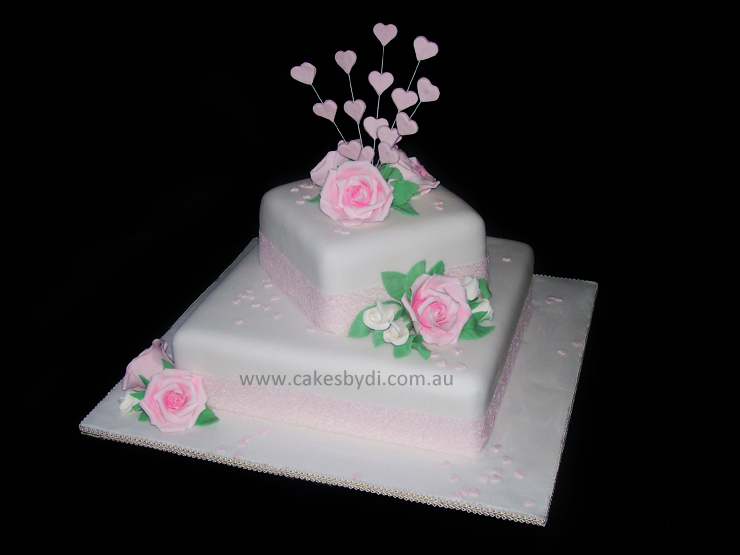 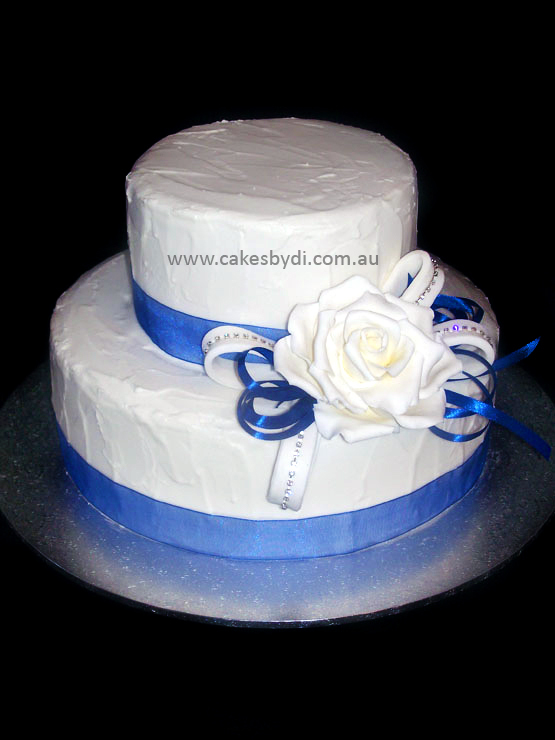 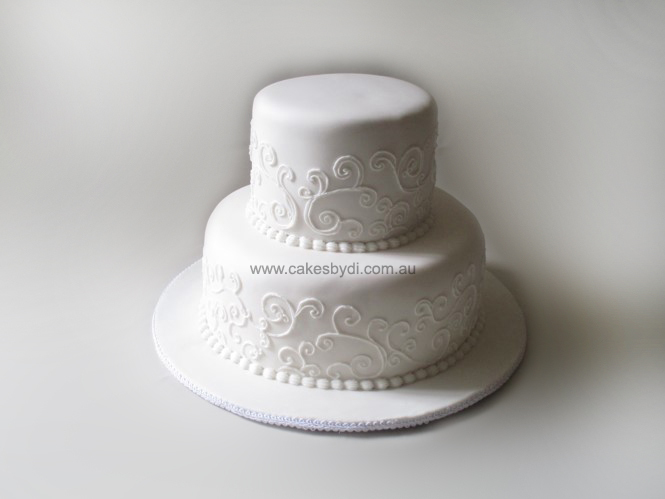 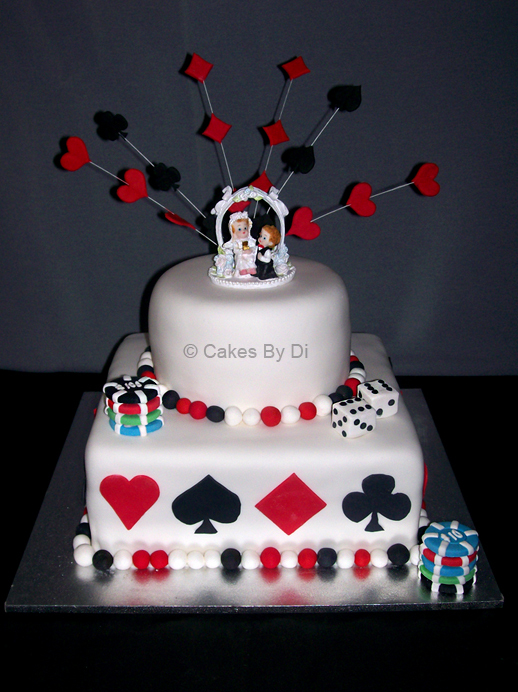 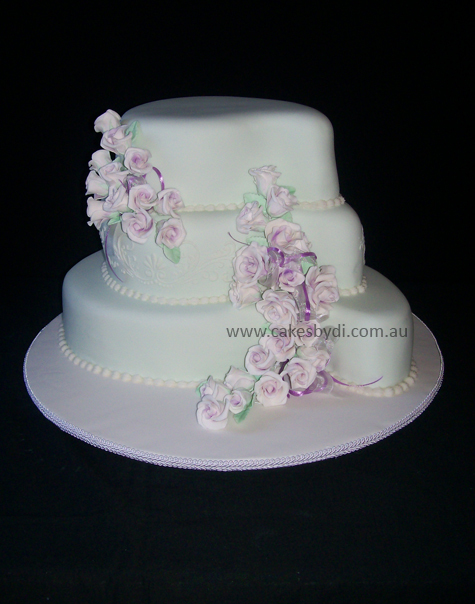 Traditional or modern, single or multi-tier, I can make a cake to your specifications or design a cake to suit your theme. Delivery service available to the reception venue. 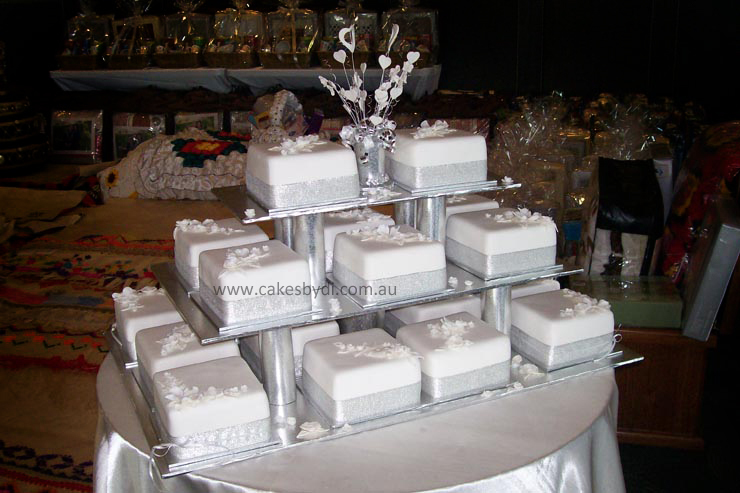 I can also provide table cakes, groom’s cake, matching knife spray and boxed miniature cakes as bomboniere for your guests, or as a special gift for family or friends unable to attend your wedding. 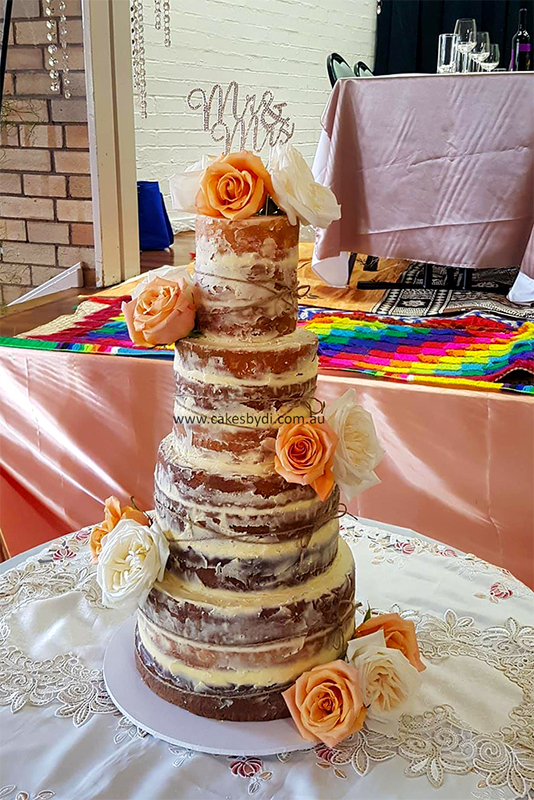 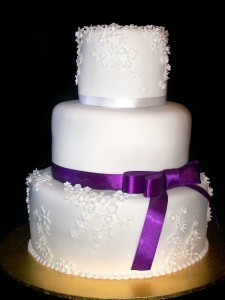 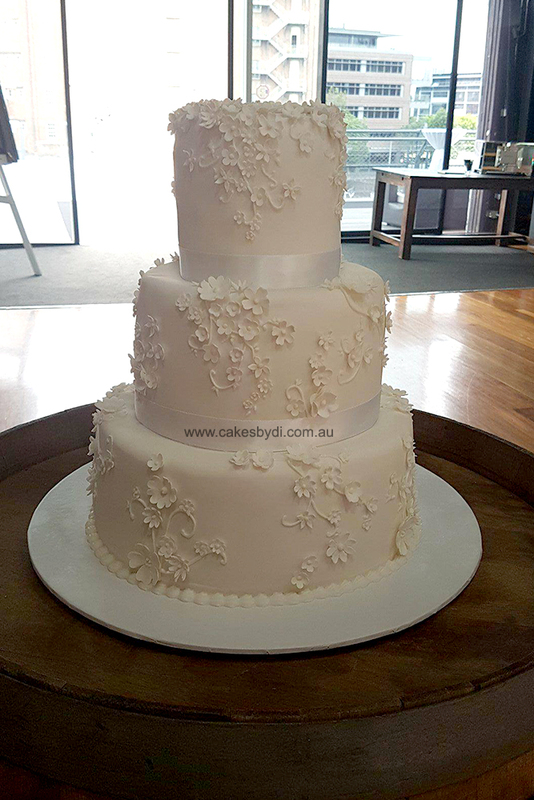 In most cases I would need at least 8 weeks notice to prepare a wedding cake, however, I will do my best to accommodate you on short notice, depending on your requirements. 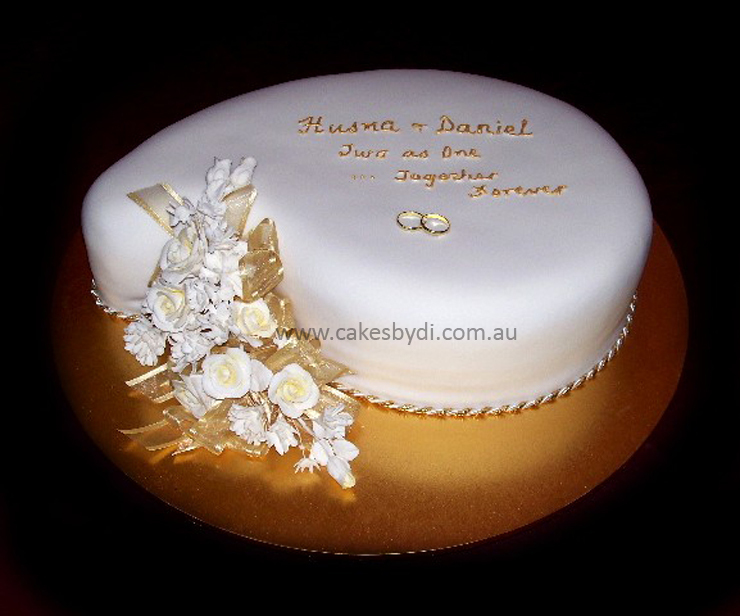 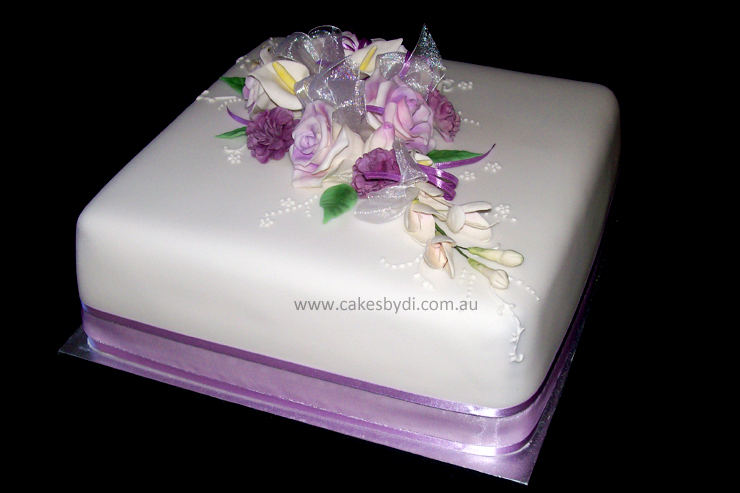 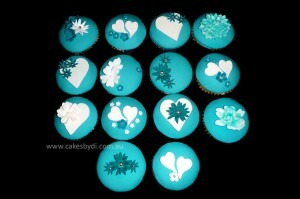 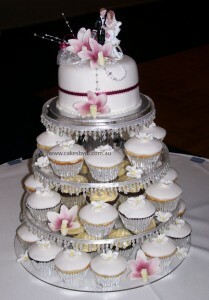 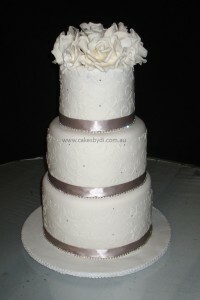 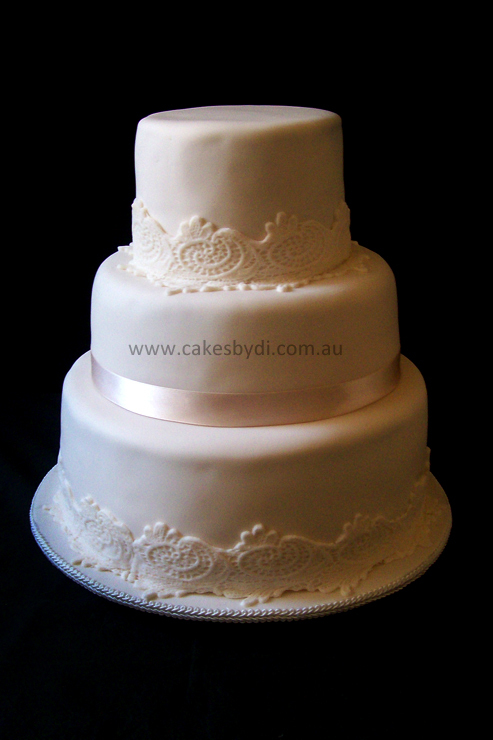 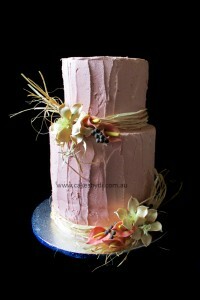 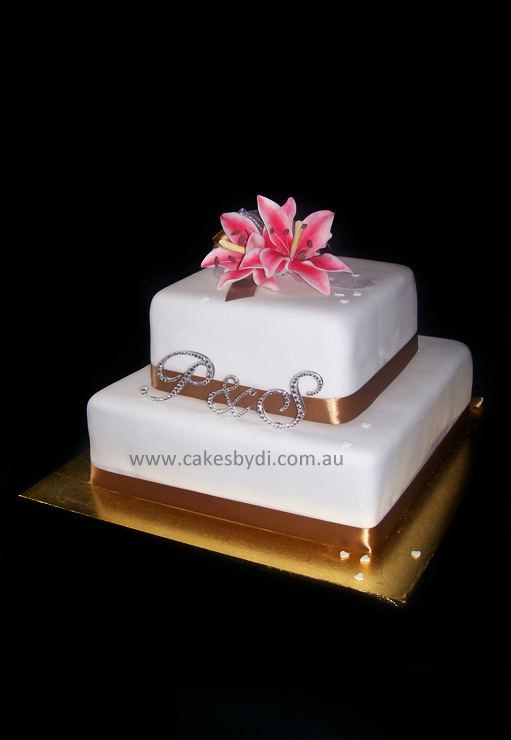 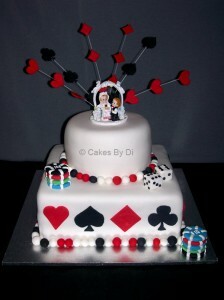 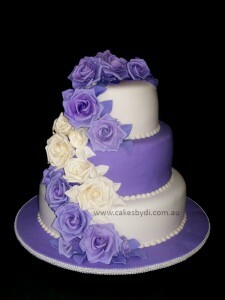 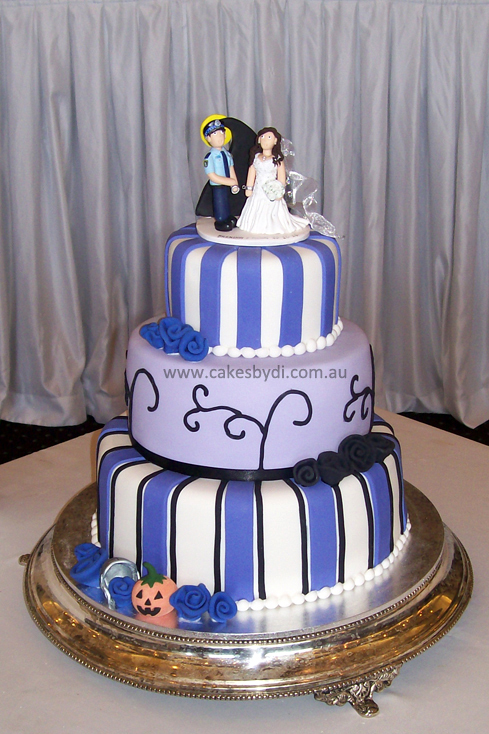 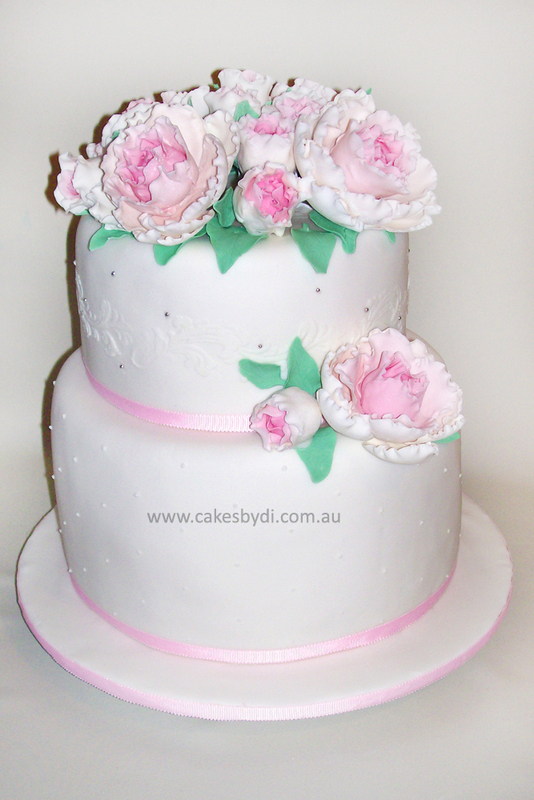 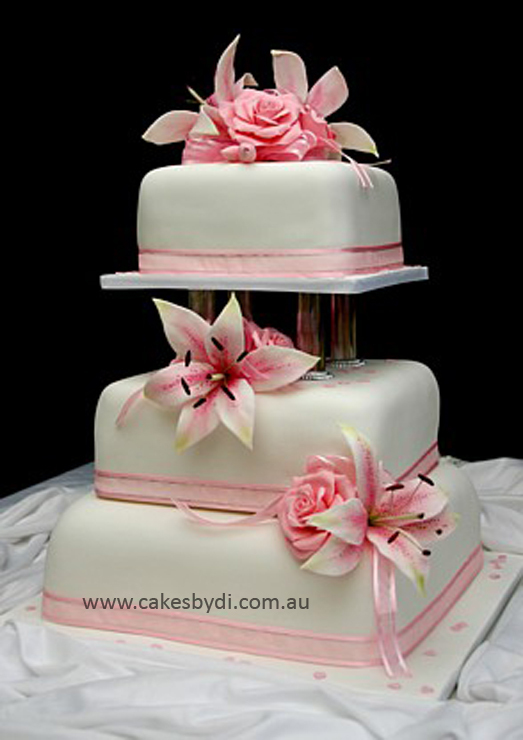 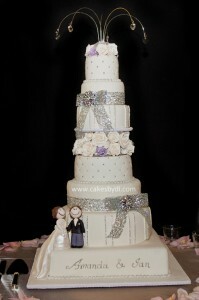 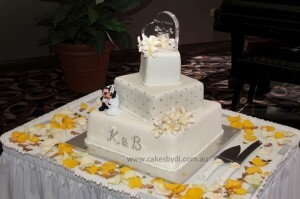 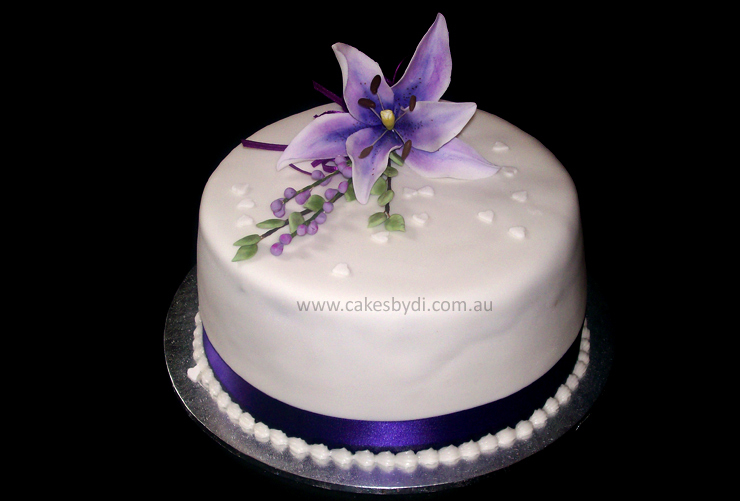 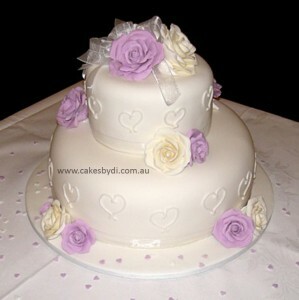 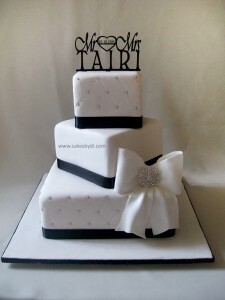 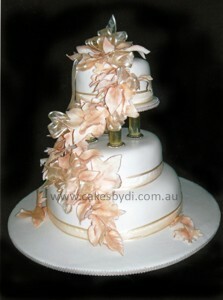 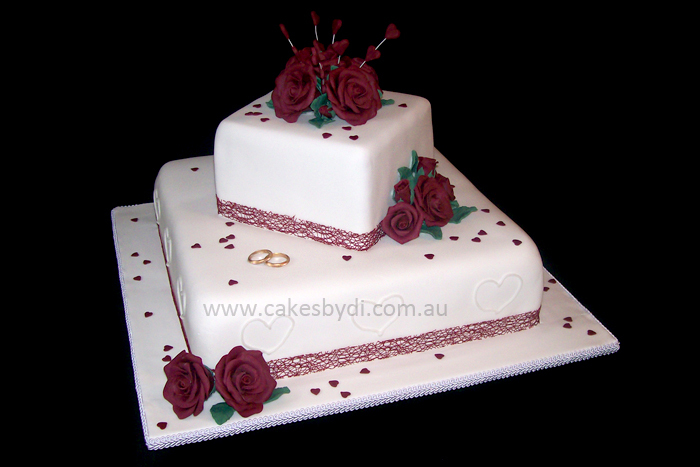 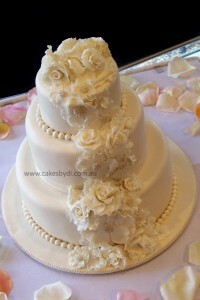 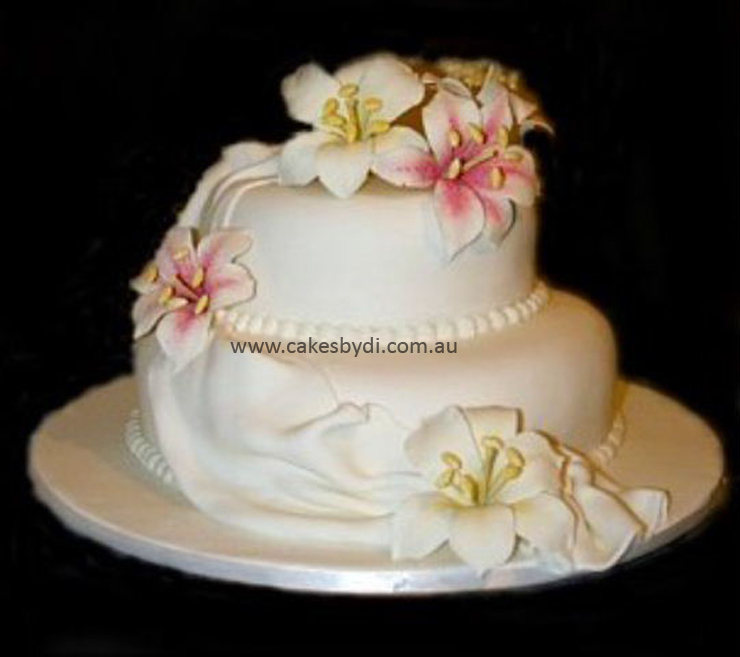 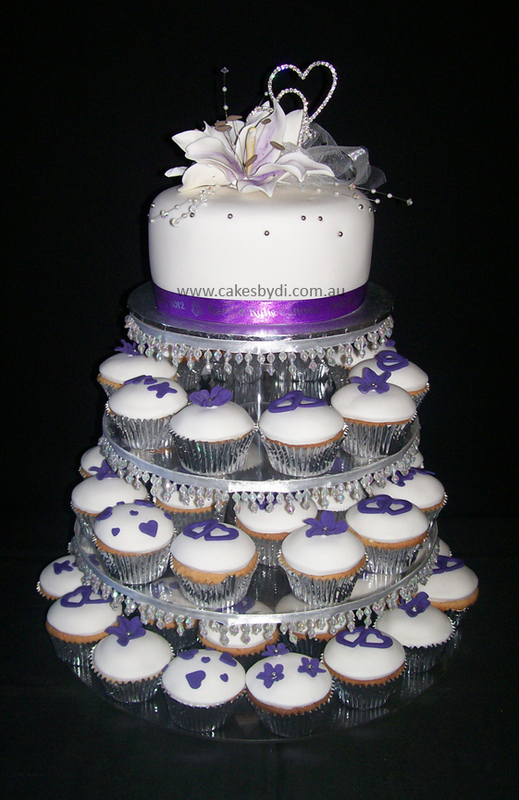 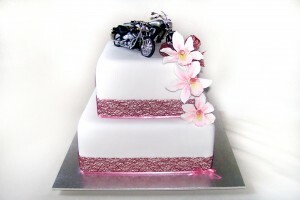 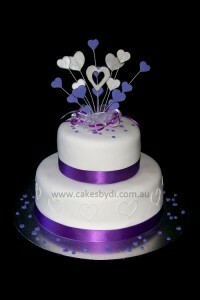 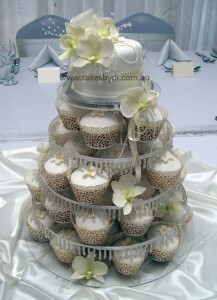 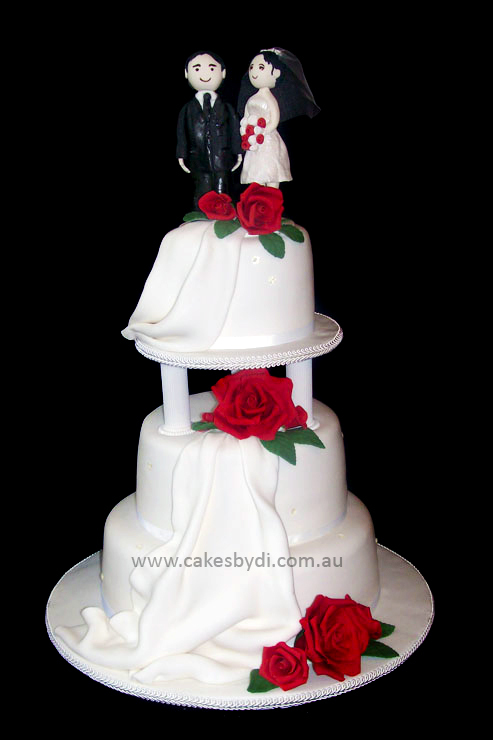 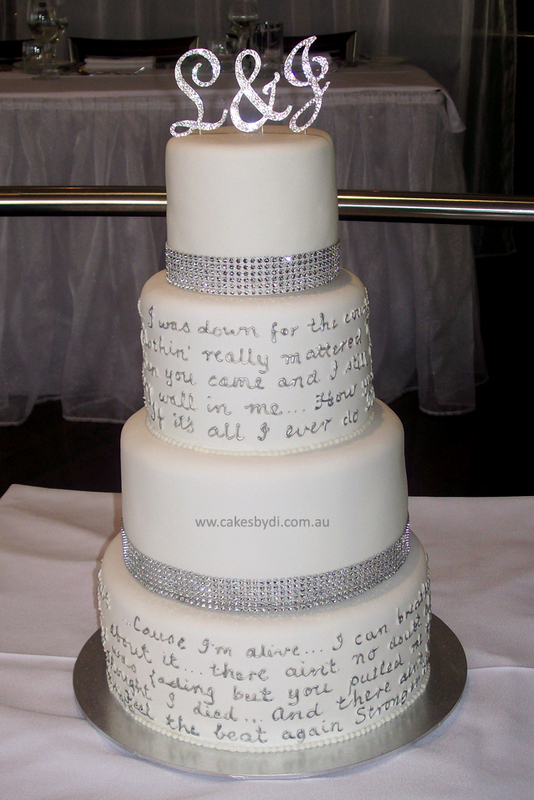 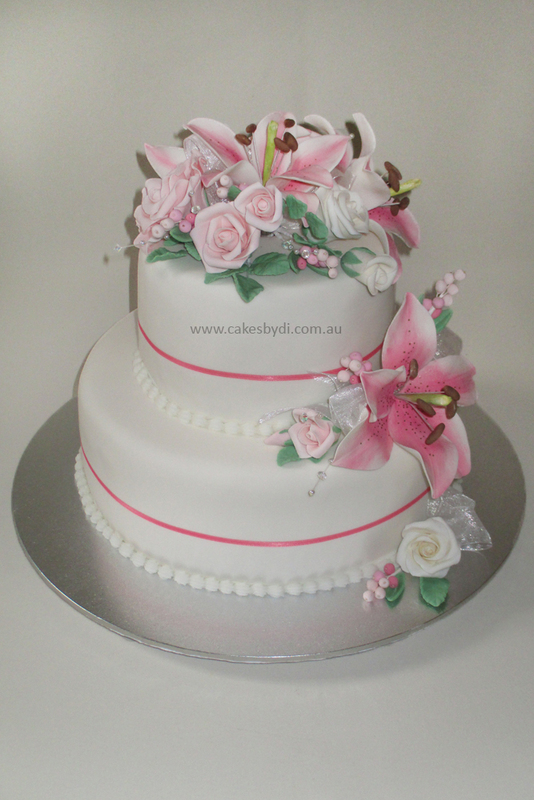 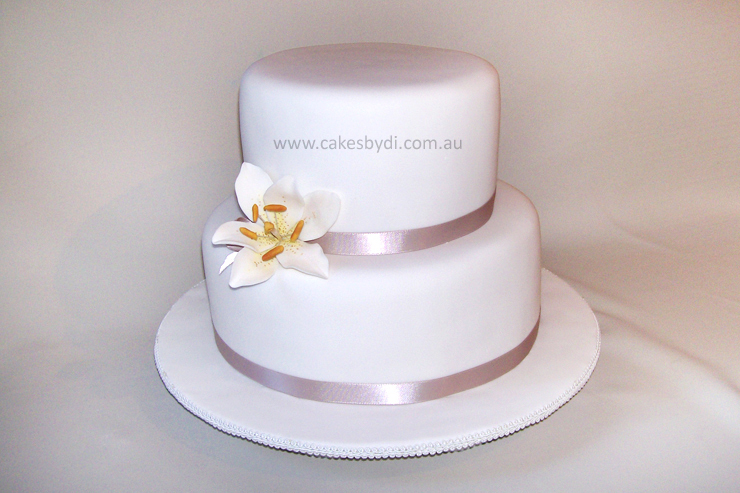 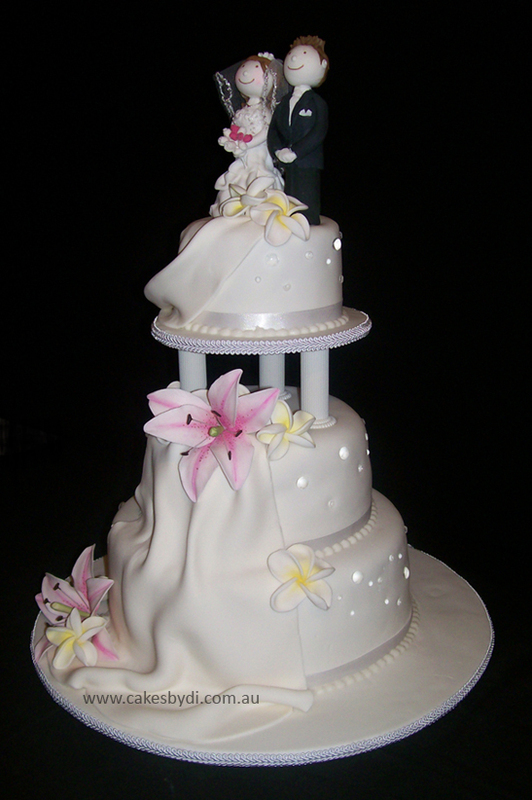 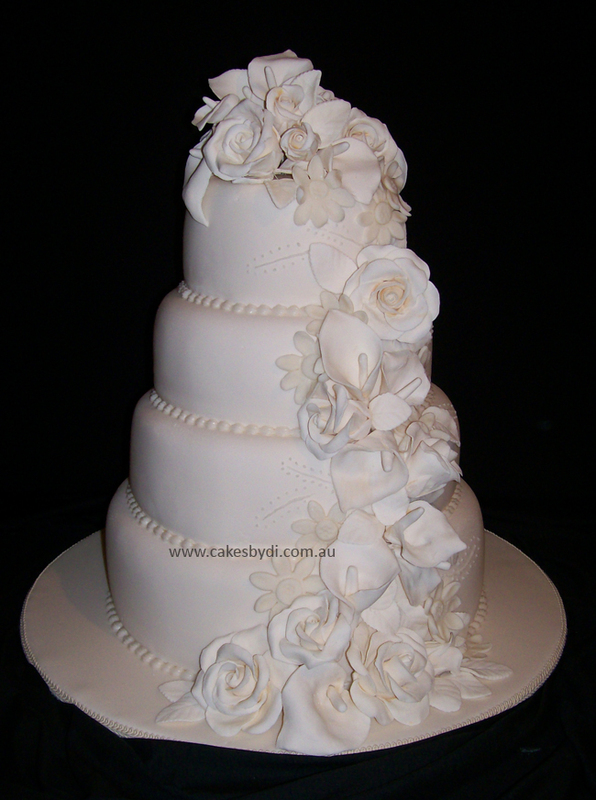 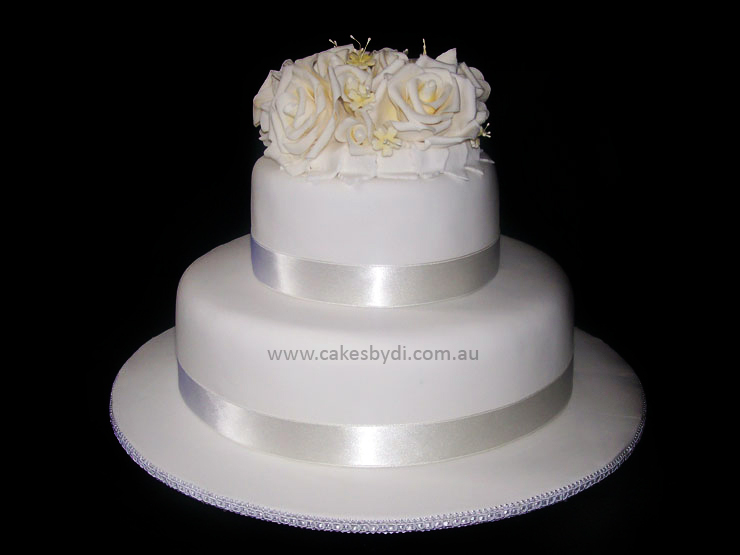 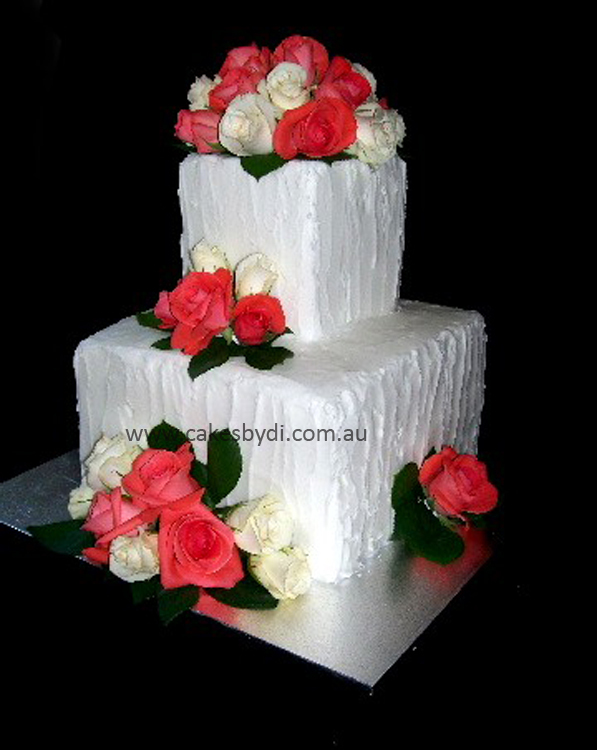 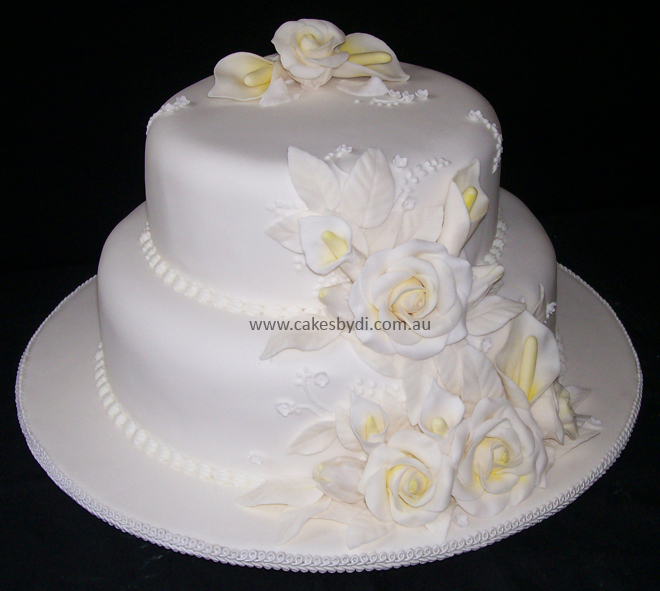 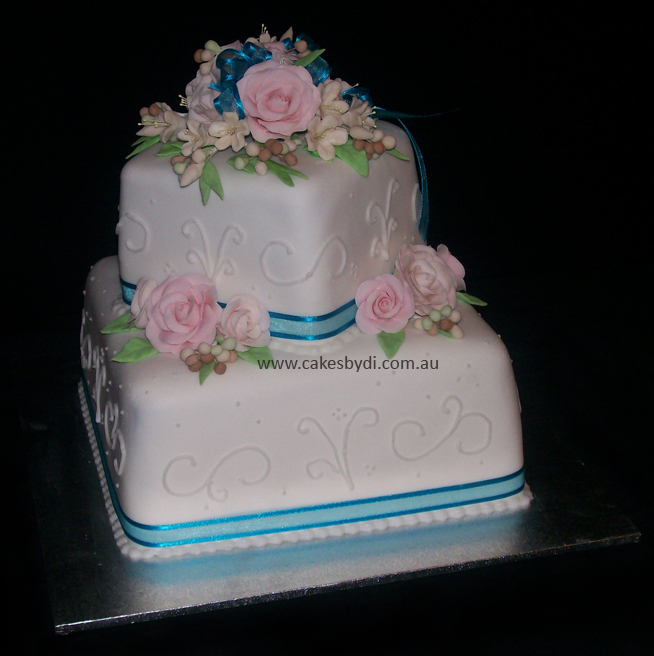 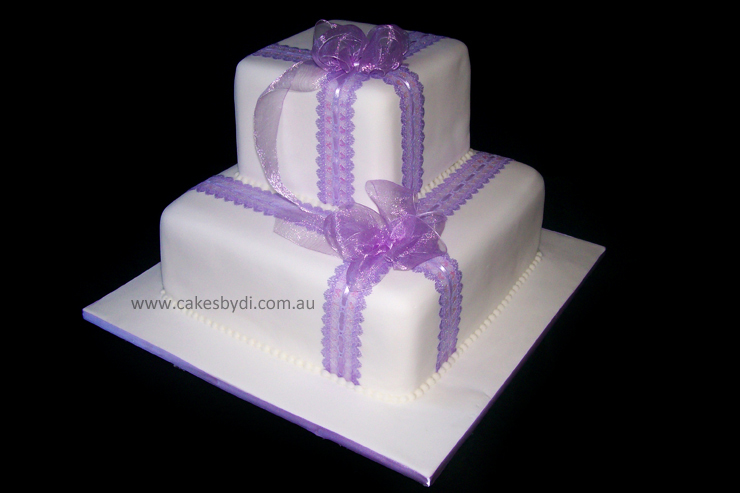 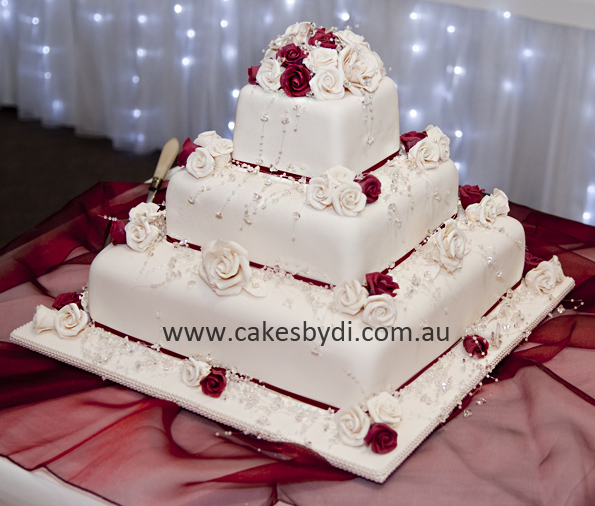 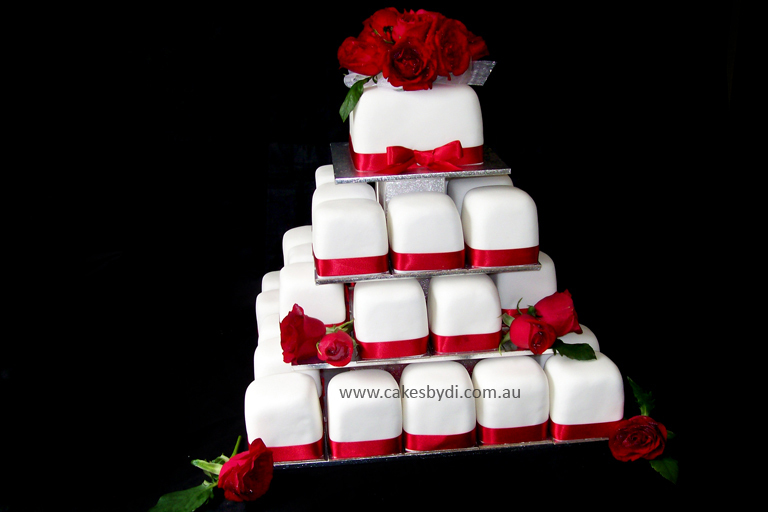 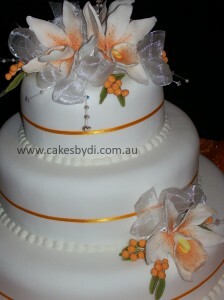 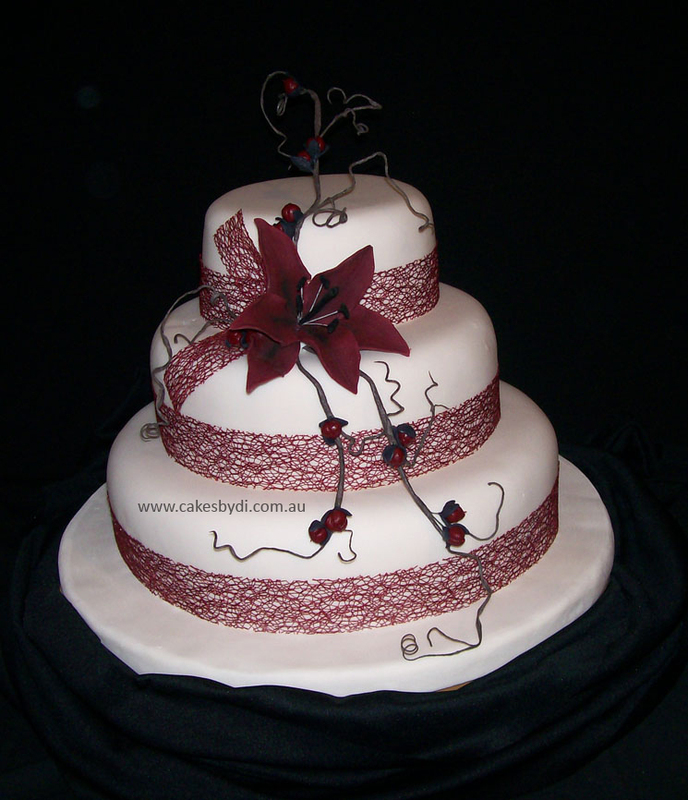 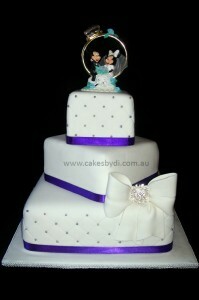 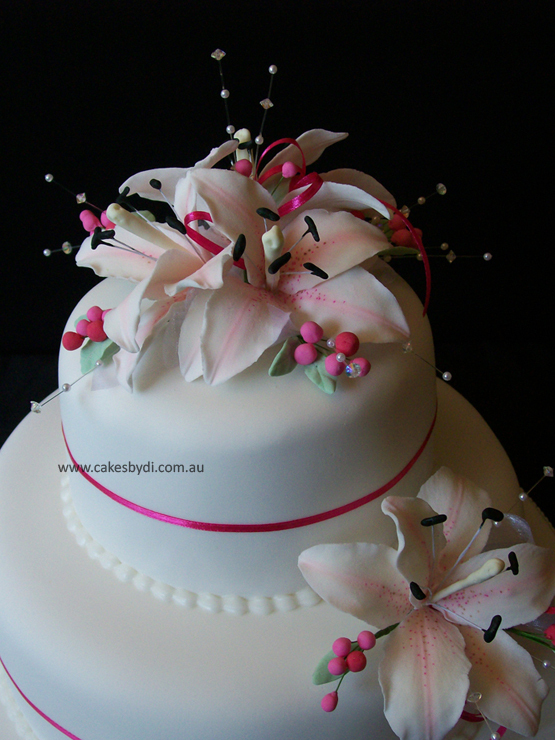 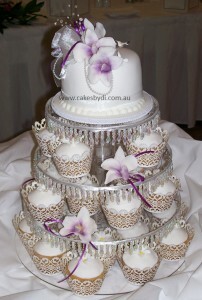 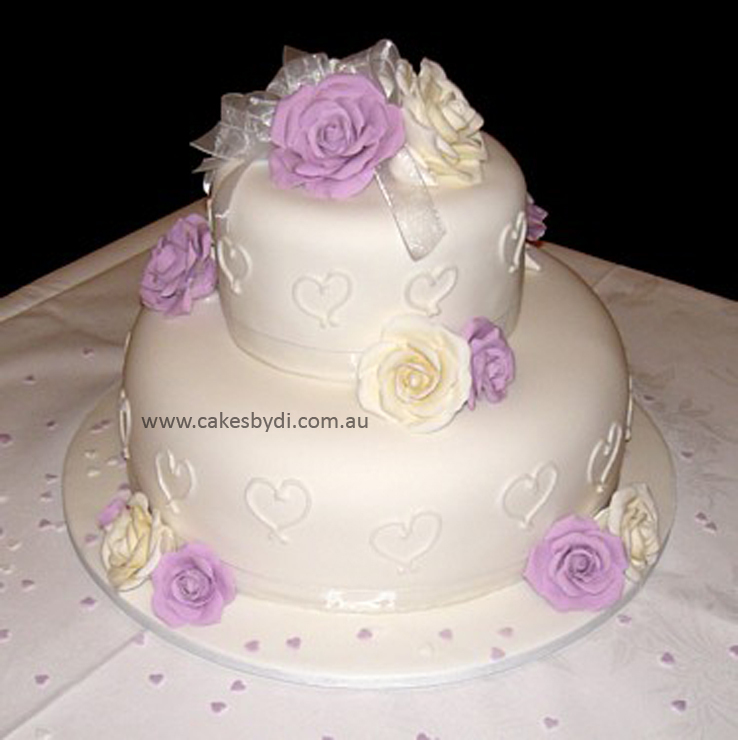 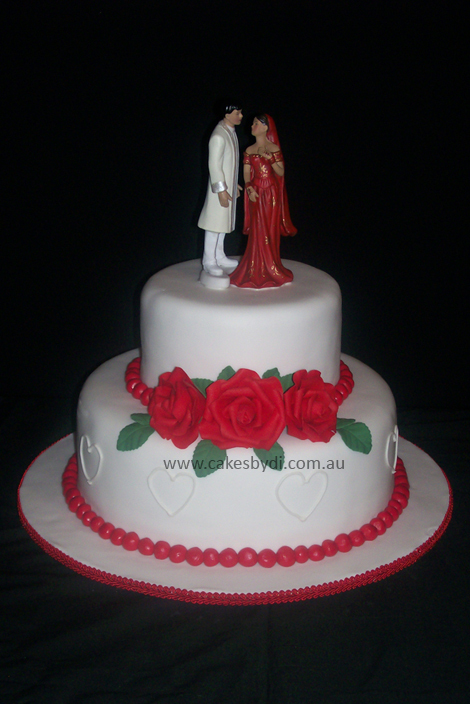 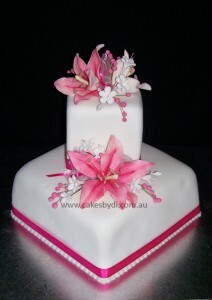 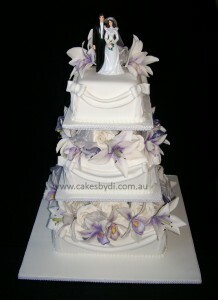 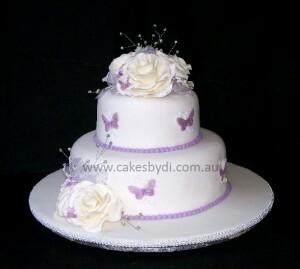 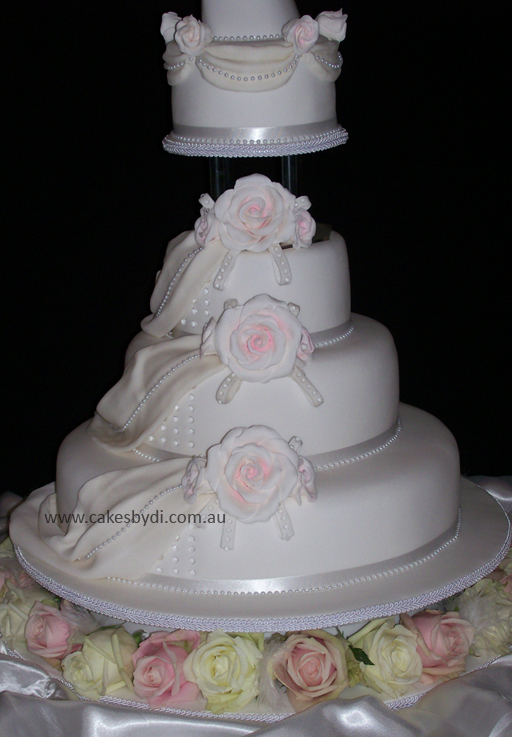 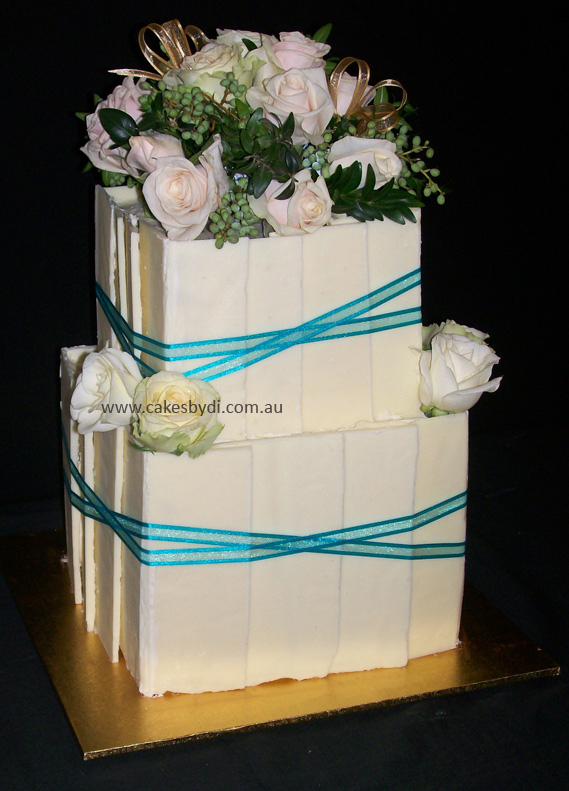 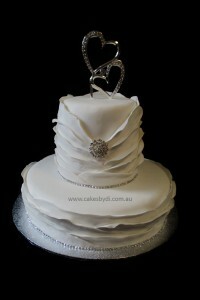 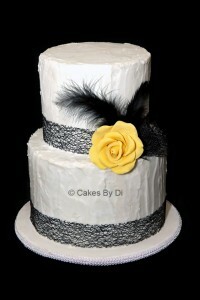 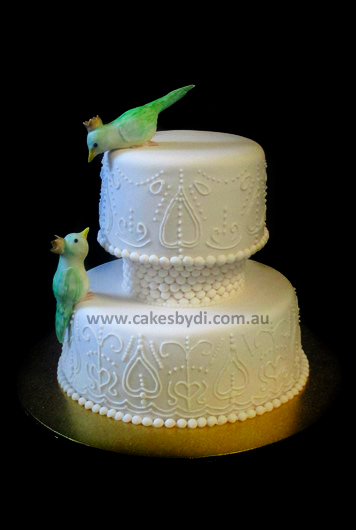 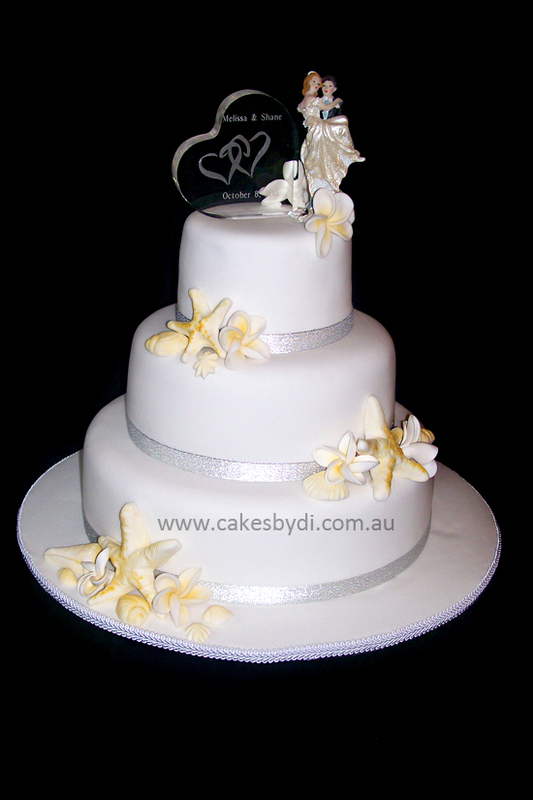 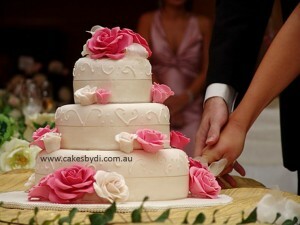 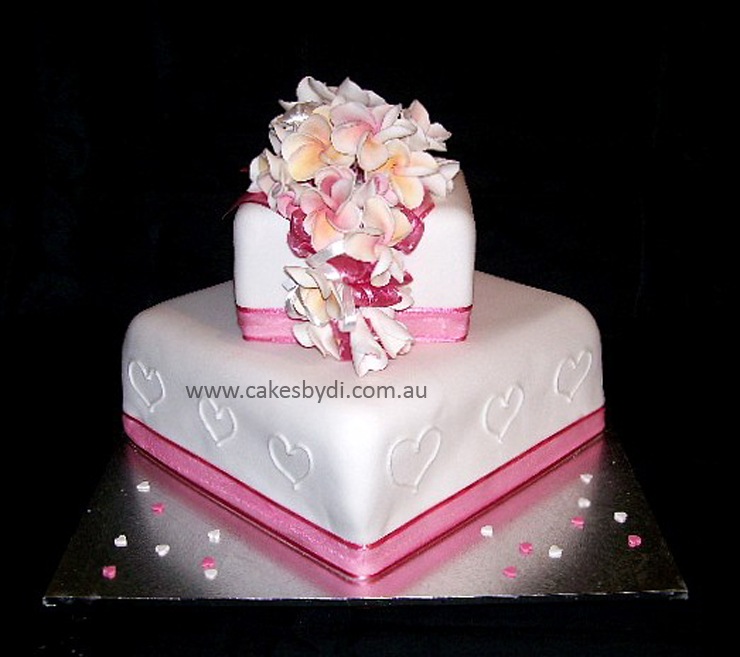 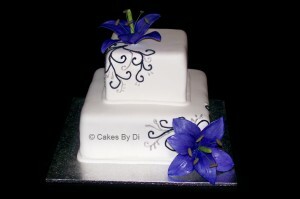 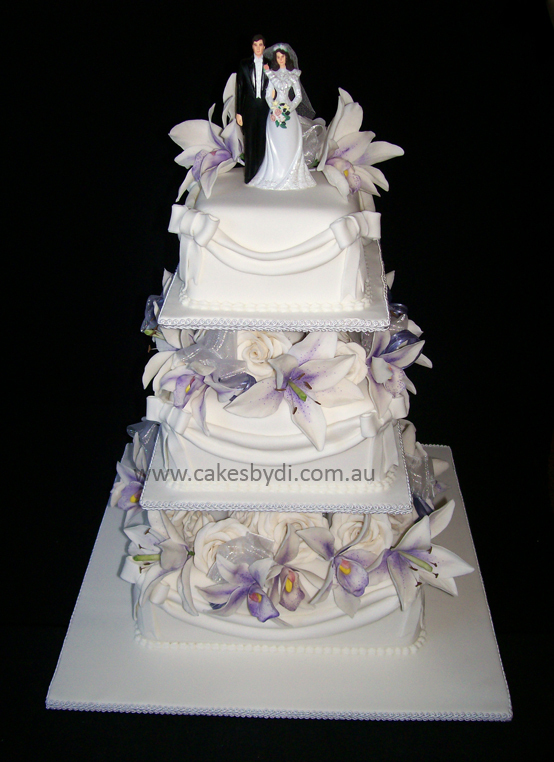 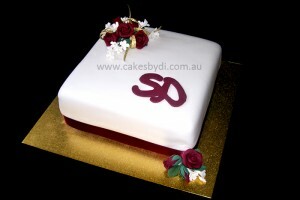 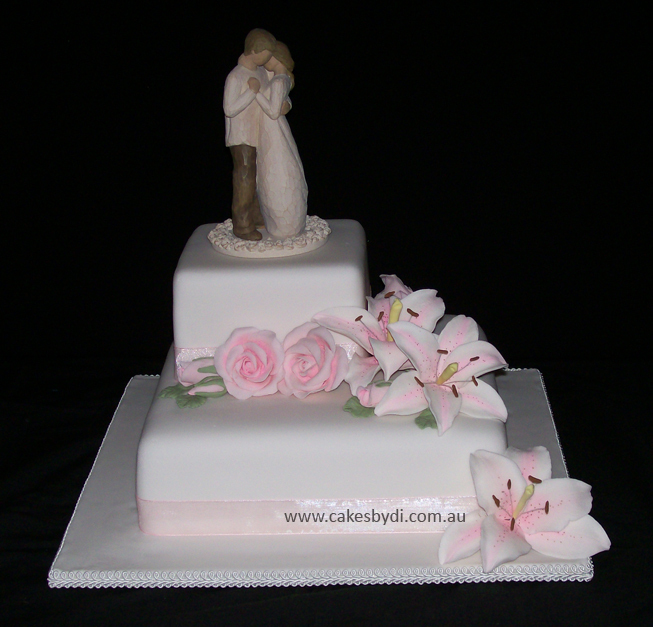 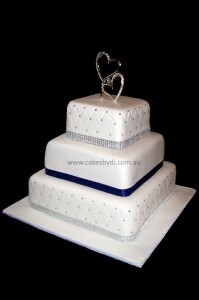 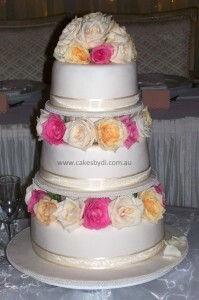 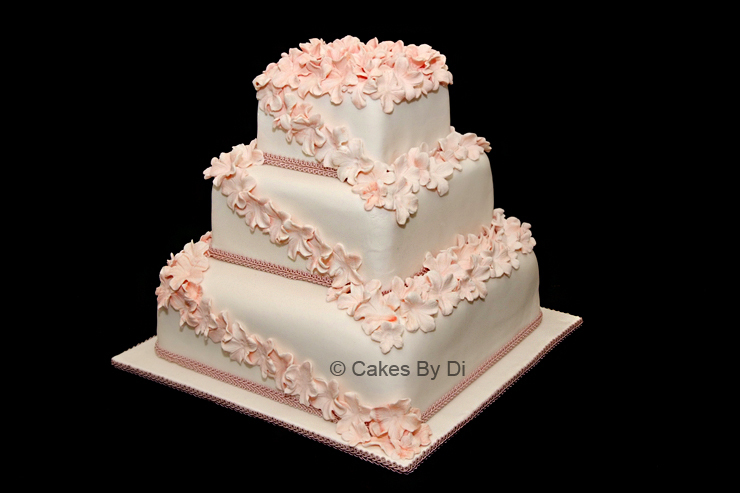 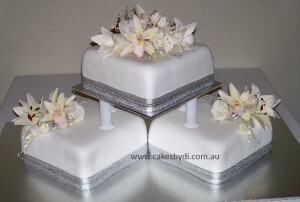 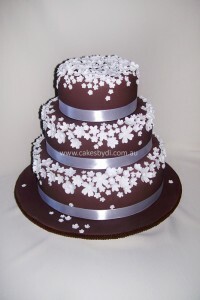 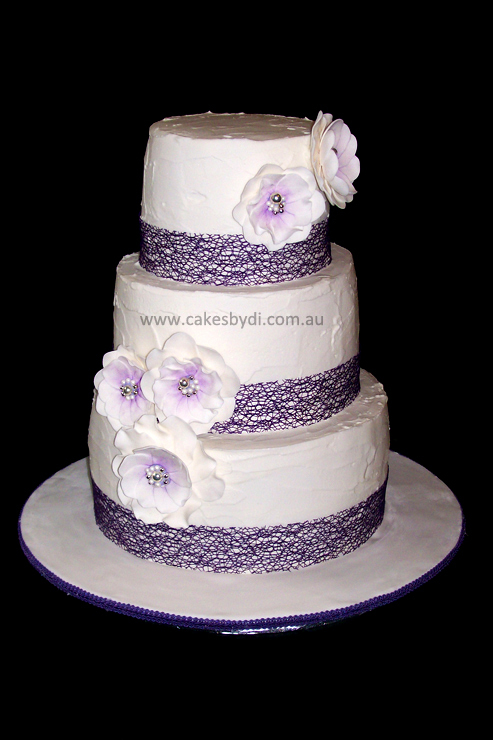 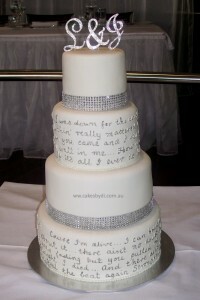 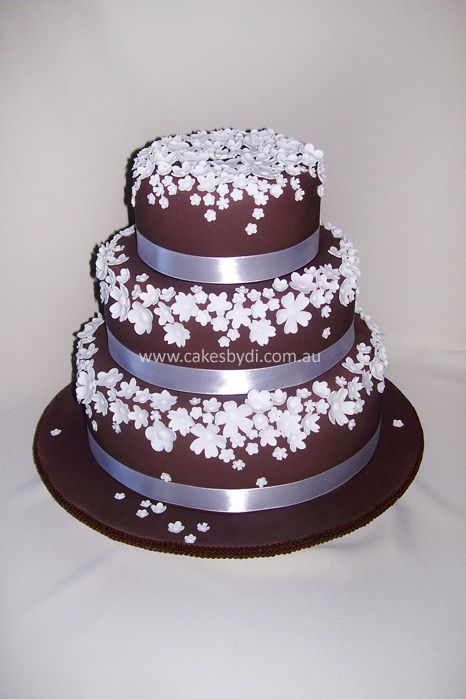 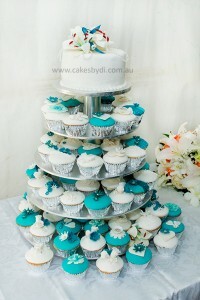 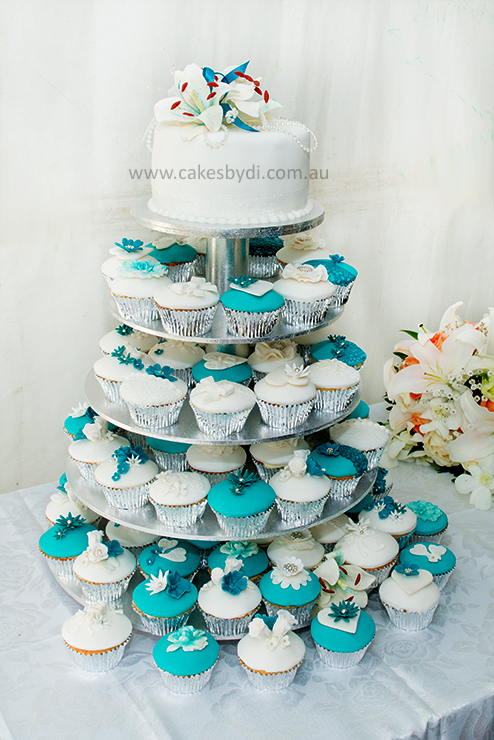 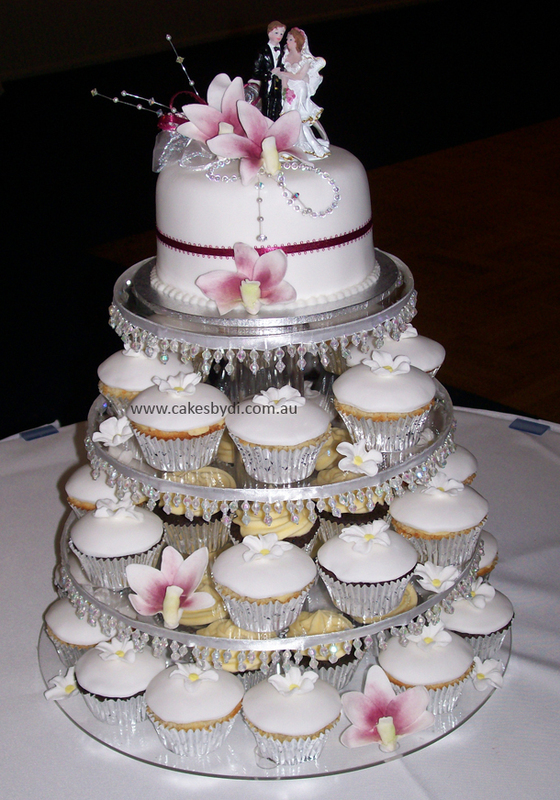 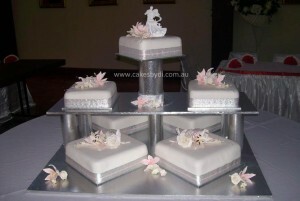 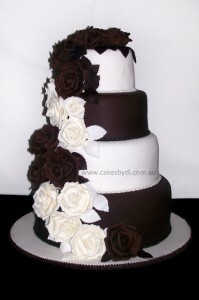 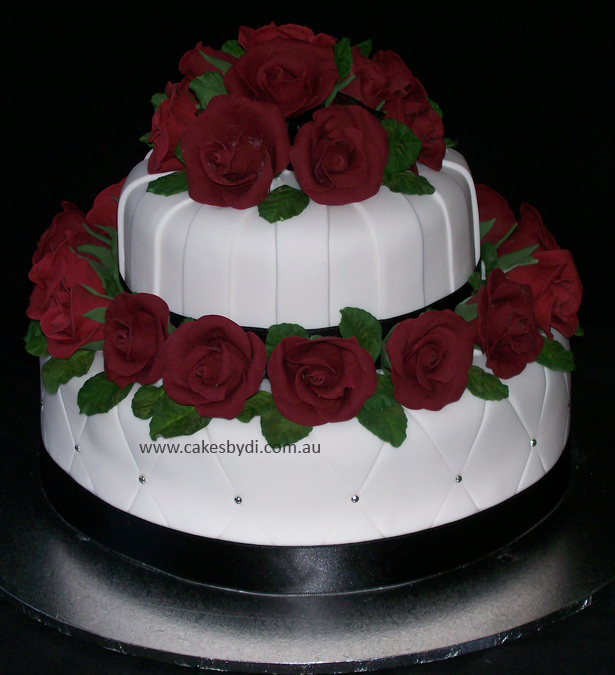 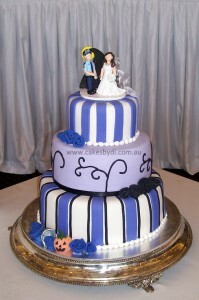 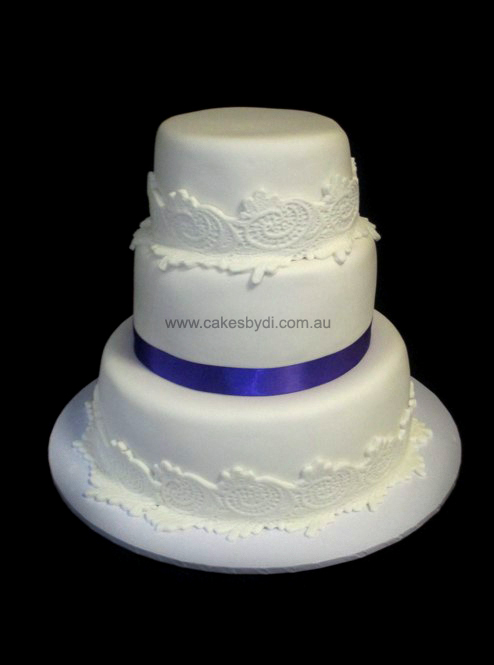 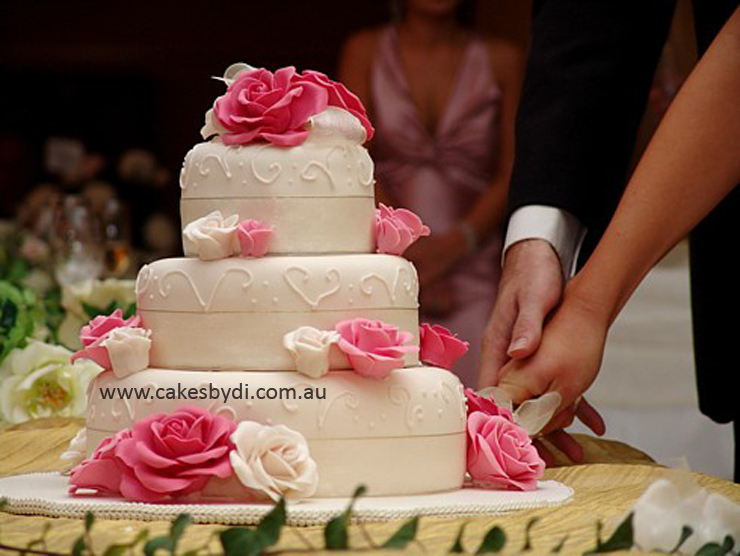 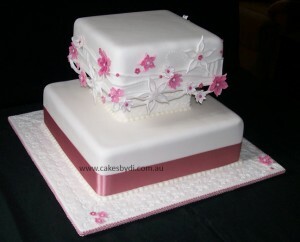 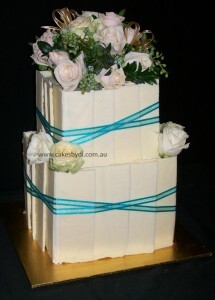 Special prices available for booking of both engagement and wedding cakes.